This Fairtrade Fortnight ( 23rd February – 8th March 2015), Wales will welcome Allan Saidi, a sugar farmer from Malawi – to share his story and show how important it is that we choose products that change lives. 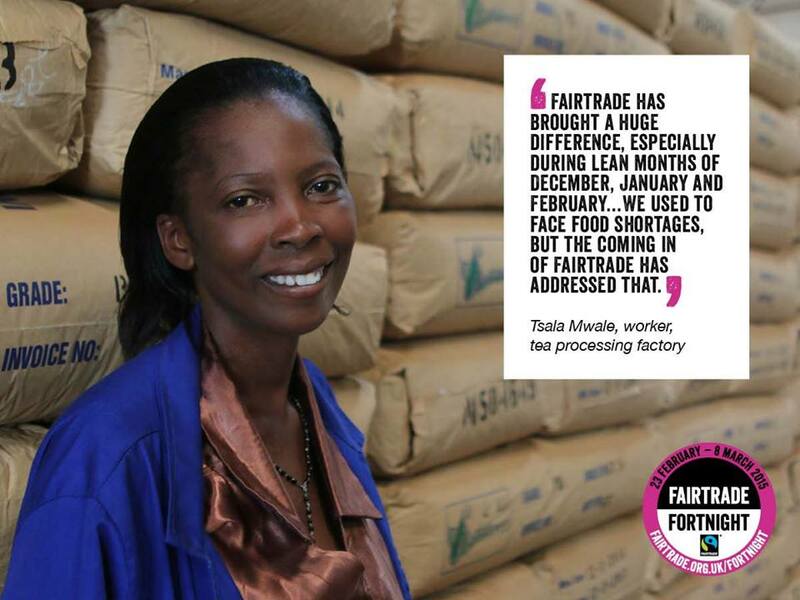 This Fairtrade Fortnight ( 23rd February – 8th March 2015)Wales, the world’s 1st Fair Trade Nation will welcome Allan Saidi from Kasinthula Cane Growers’ Association (KCG), Malawi as part of the Fairtrade Foundation’s annual producer tour. Allan arrives in Cardiff on Wednesday 25th February to tour around the nation and help the people of Wales see how Fairtrade Matters, and the importance of choosing products that change lives. Former sugar cane grower Allan is currently an administrator at KCG, a Fairtrade-certified sugar cane project in an inhospitable region of southern Malawi. One of the world’s poorest countries, Malawi is often affected by long droughts that result in famine and twice-yearly rains that often bring floods, with the most recent one affecting more than a million people. Fairtrade has made a real difference to the lives of the sugar cane growers, their families and local communities by ensuring a stable income for the growers, as well as Fairtrade Premium of $60 a tonne, which the association has so far invested in improving sugar cane productivity and in healthcare, clean water, electricity and education. ‘Over the past 20 years, Fairtrade has paved the way for fairer and ethical trading but there is still a long way to go as trade isn’t working for the poorest farmers in the global south. The people of Wales have been playing their part and buying and supporting Fair Trade and we hope that as many people come to the events around the nation and hear Allan’s compelling story.”said Elen Jones, National Co-ordinator of Fair Trade Wales. Around the country hundreds of events will be held to amplify the campaign messaging in many of Wales’s Fair Trade network of 40 Fairtrade Communities, 1100 Registered Fairtrade Schools, 11 Fairtrade Universities, and 1000’s of Fairtrade Faith Groups. Activities will include stalls, coffee mornings, bake offs, film-showings. Wales’s most recent town to achieve Fairtrade status, Newcastle Emlyn will be celebrating in the streets and will welcome Allan, who will help them commemorate their commitment to supporting a better deal for smallholder farmers. Allan will also have the opportunity to meet a fellow farmer, Farmers’ Union of Wales Ceredigion county chairman Aled Rees who will welcome Allan to his 150-acre organic dairy farm at Trefere Fawr, Penparc Cardigan. The two will share their different experiences of trying to achieve a fair price for their produce and identify the challenges a smallholder faces from the power in-balance that supermarkets hold, to the accelleration of climate change. For details of all events in Wales, visit http://fairtradewales.com/get-involved/events-3 or see contact details below.